Avaya Holdings Corp. (NYSE: AVYA) is celebrating the launch of its new office space at the Information Technology and Communications Complex (ITCC), a commercial and housing development that serves as the epicenter of the Riyadh technology community. 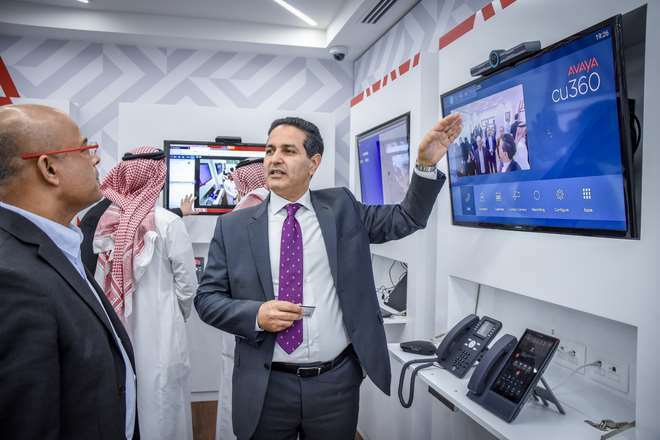 In what comes as a significant investment in the regional technology ecosystem, the office at ITCC features the first Avaya customer experience center to be opened in Saudi Arabia. The center will serve as a design and test bed for world-class solutions to local business challenges. Open to Avaya customers, channel partners, academics and others, the space features cutting-edge facilities in which local innovators can work to create technological answers to some of the country’s most pressing challenges. It will enable Avaya’s partners and customers to design solutions embedding advanced technologies such as AI and blockchain into their contact center and unified communications platforms. In line with the Saudi Vision 2030, Avaya expects this center to contribute greatly to the country’s digital transformation drive. The new facility also represents Avaya’s widening commitment to the Middle East in general and Saudi Arabia in particular. The company hires fresh graduates from Saudi universities, and invests heavily into its local channel partner ecosystem, which serves a contact center industry responsible for the creation of tens of thousands of jobs.